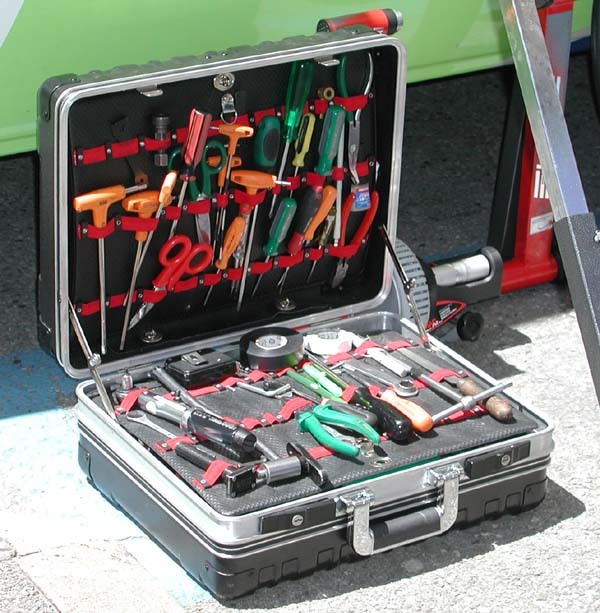 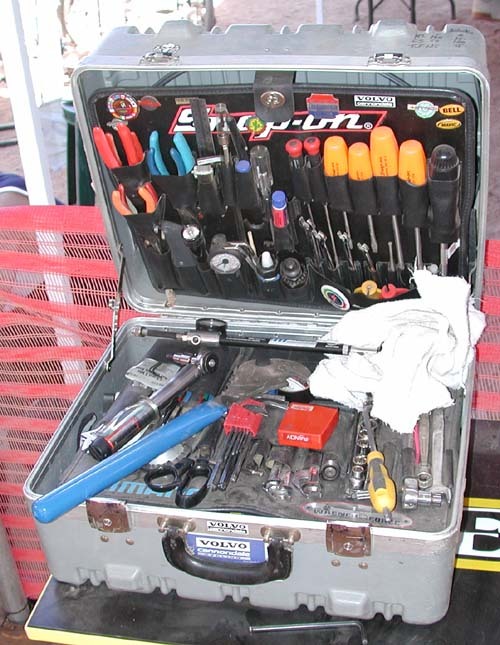 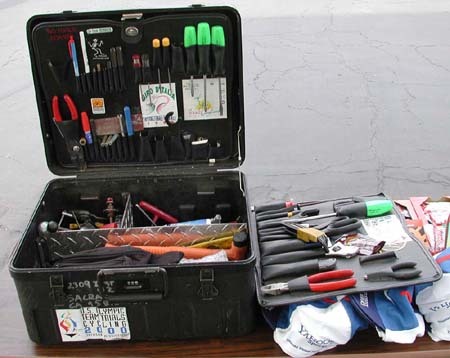 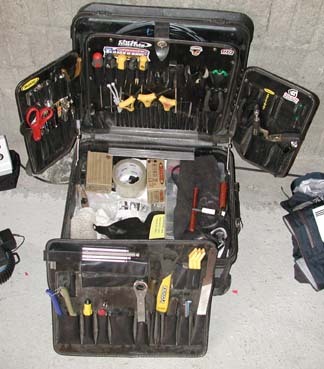 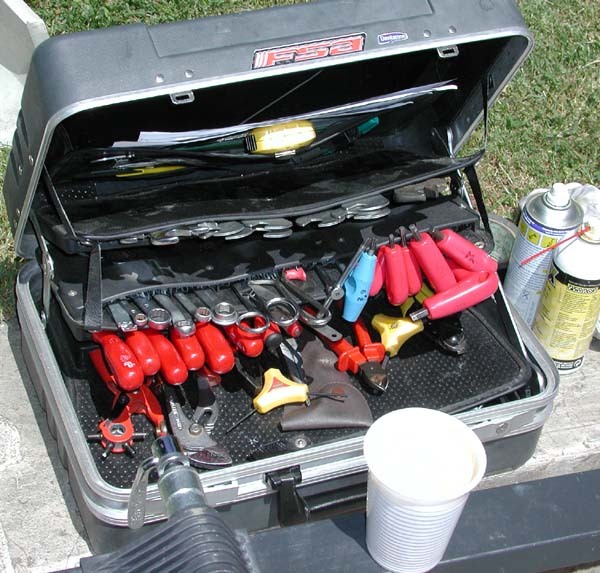 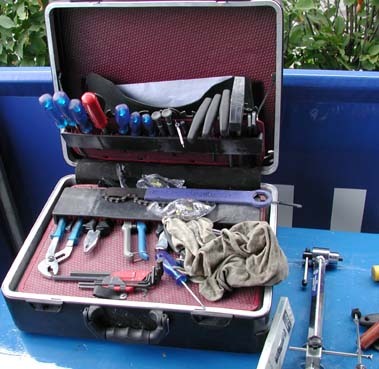 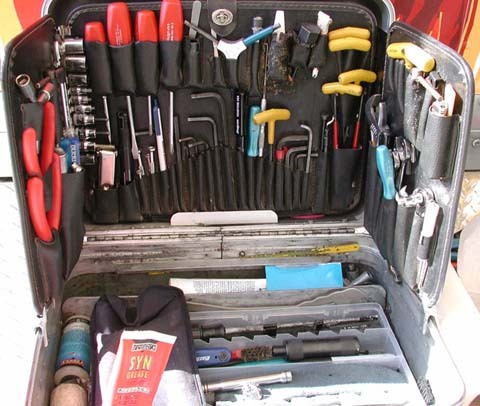 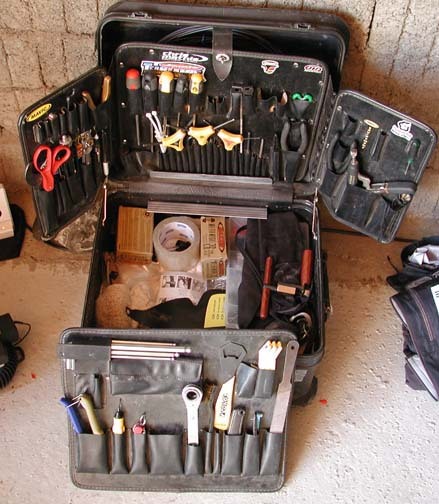 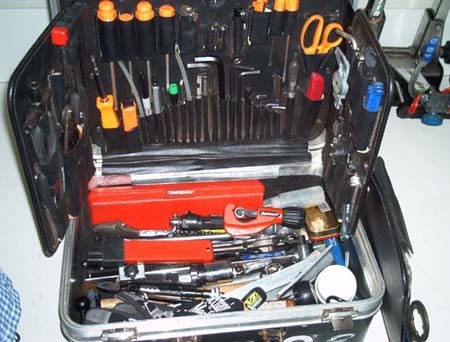 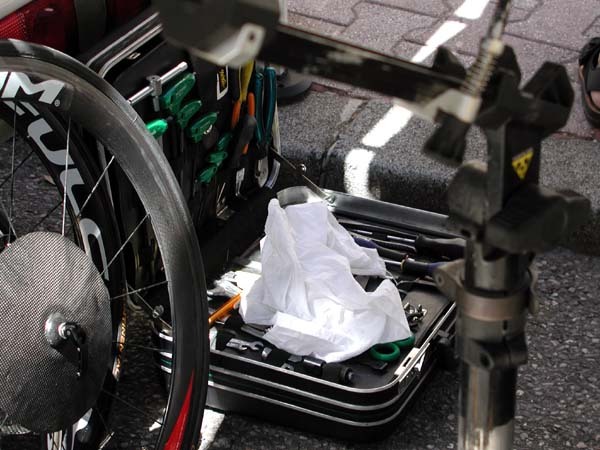 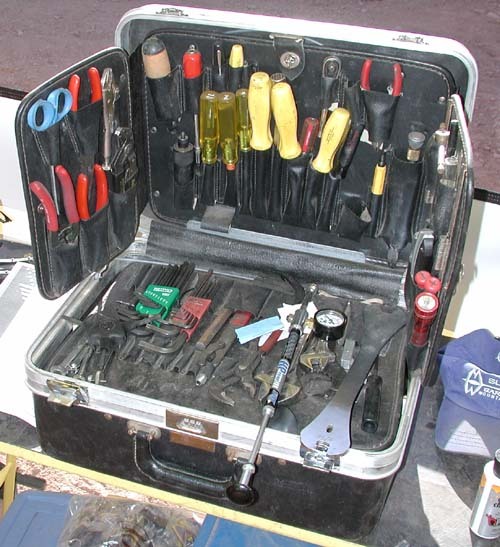 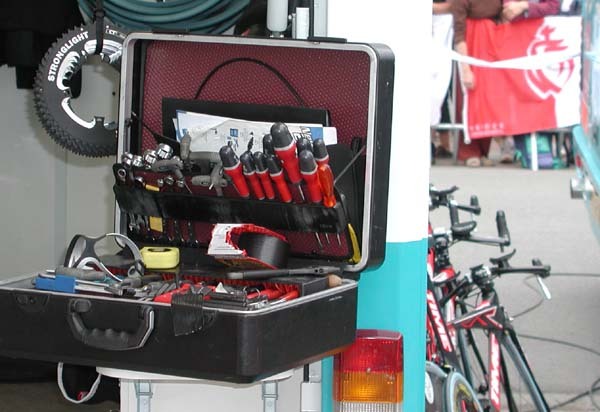 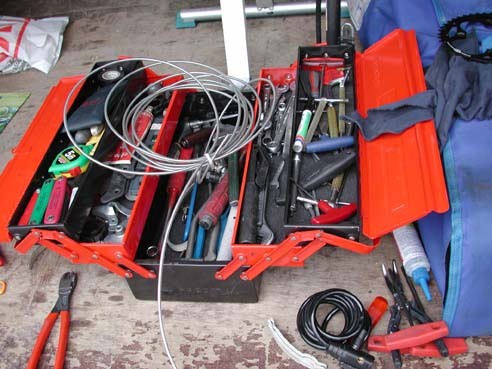 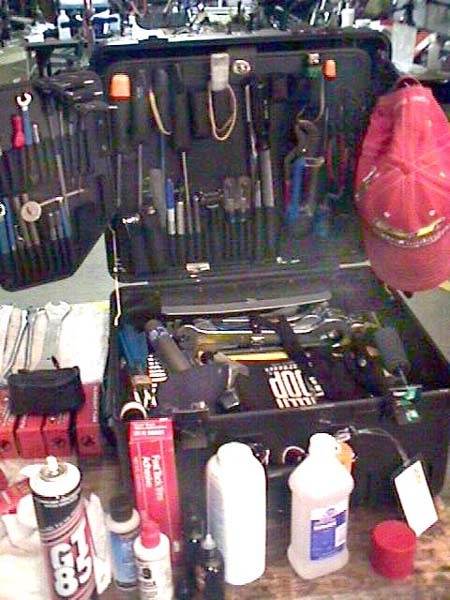 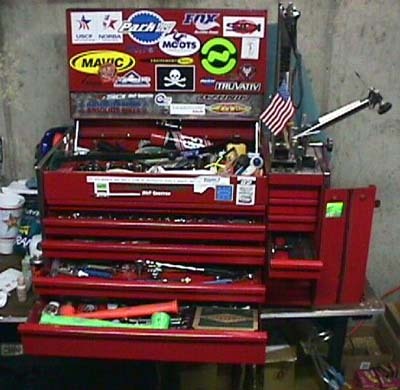 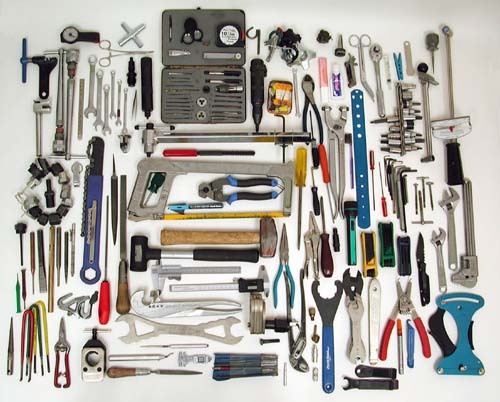 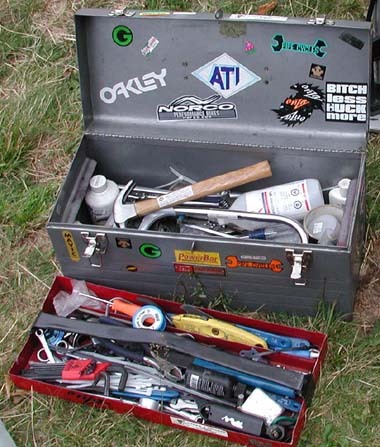 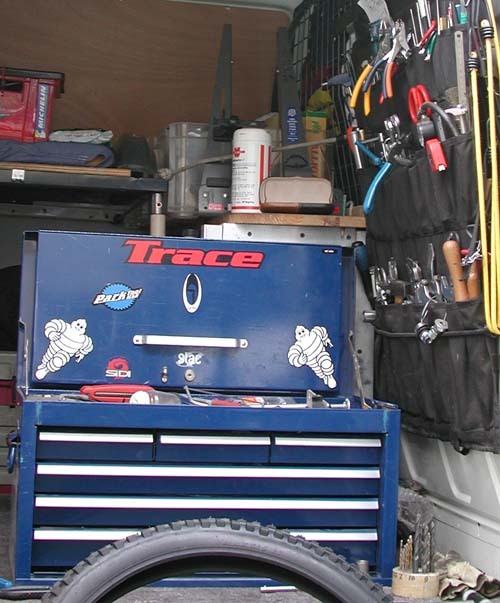 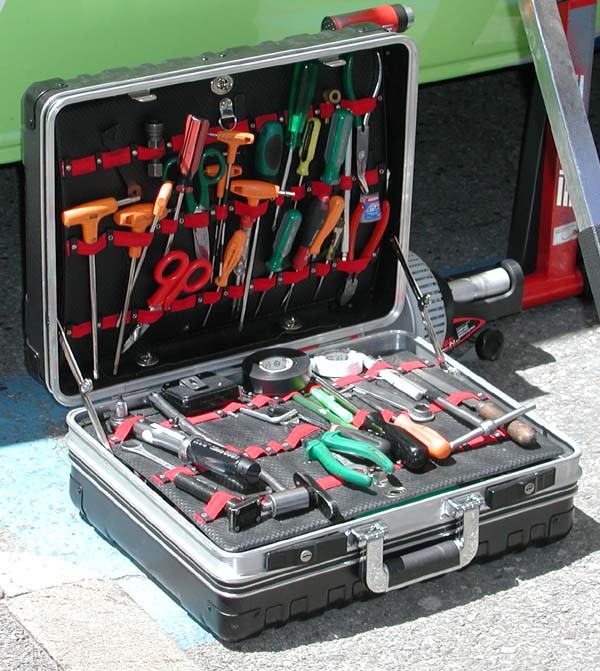 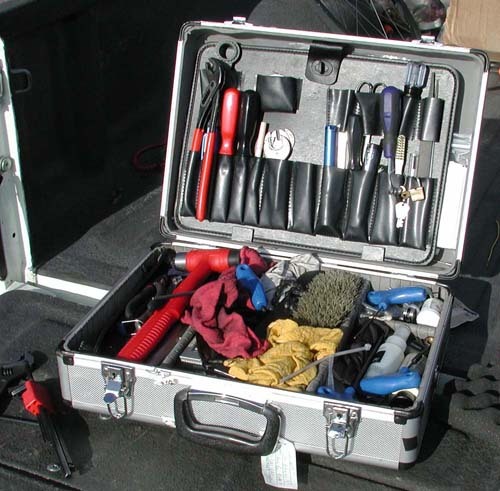 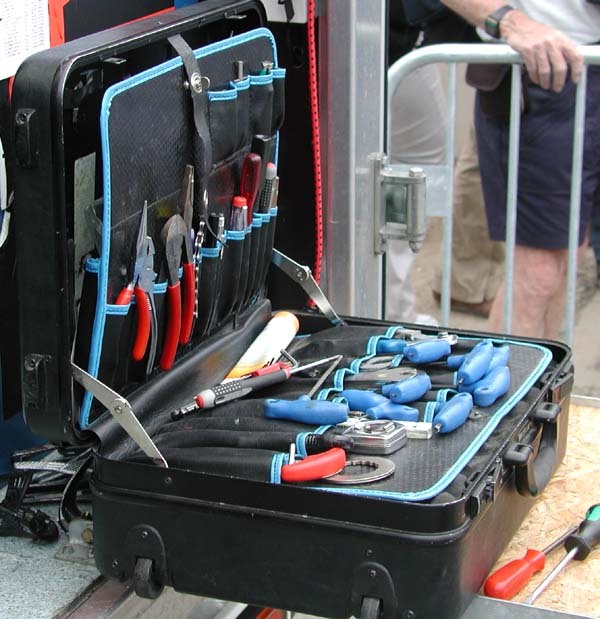 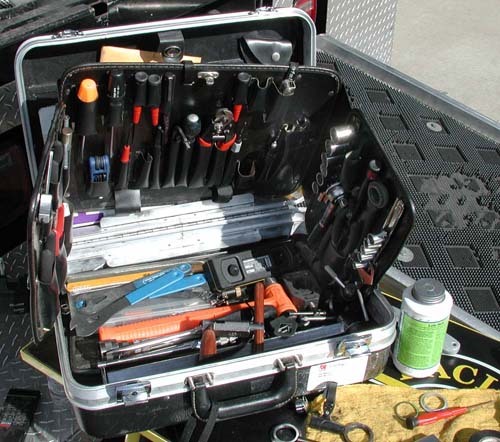 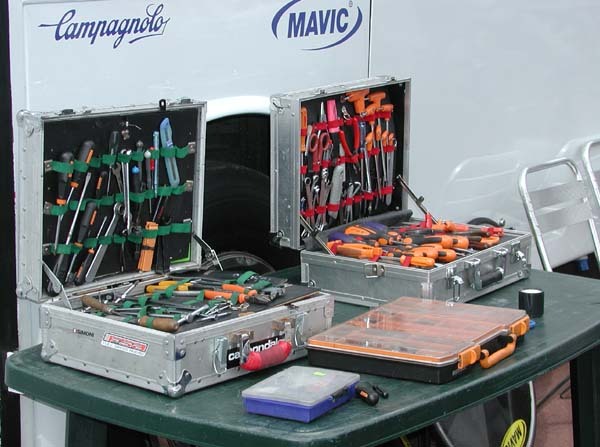 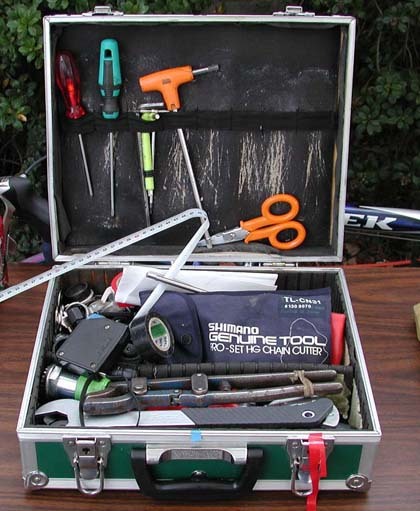 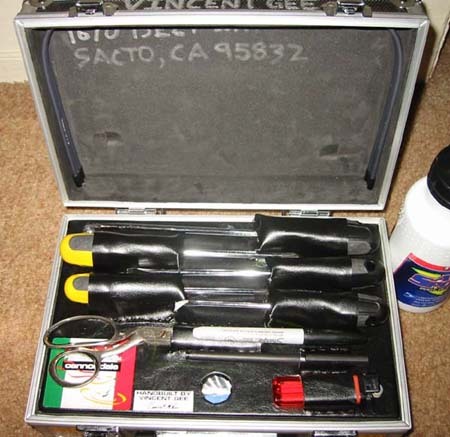 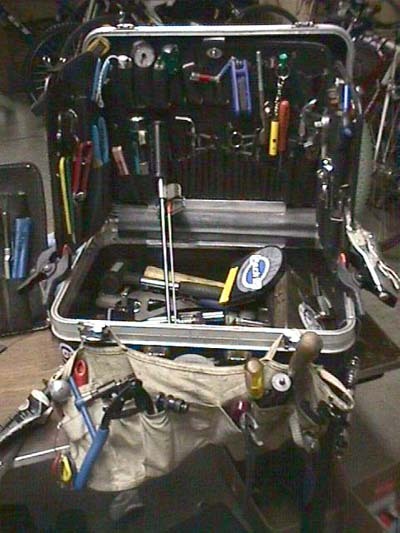 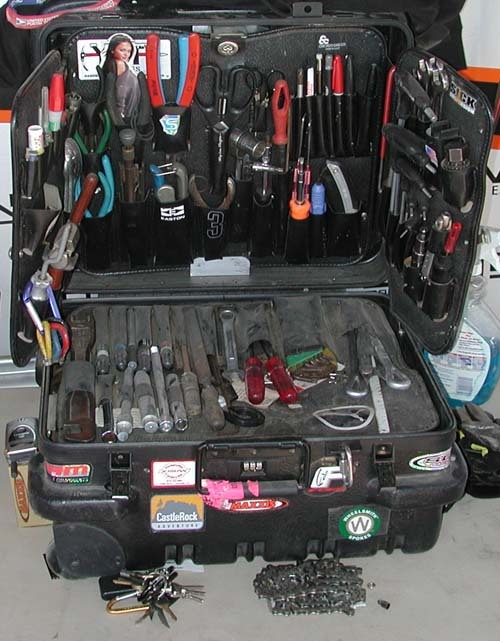 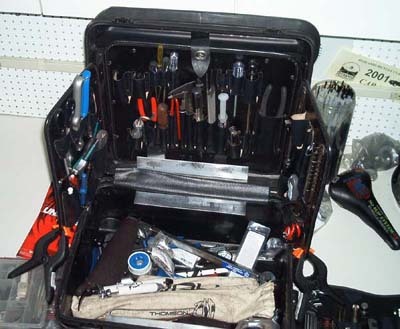 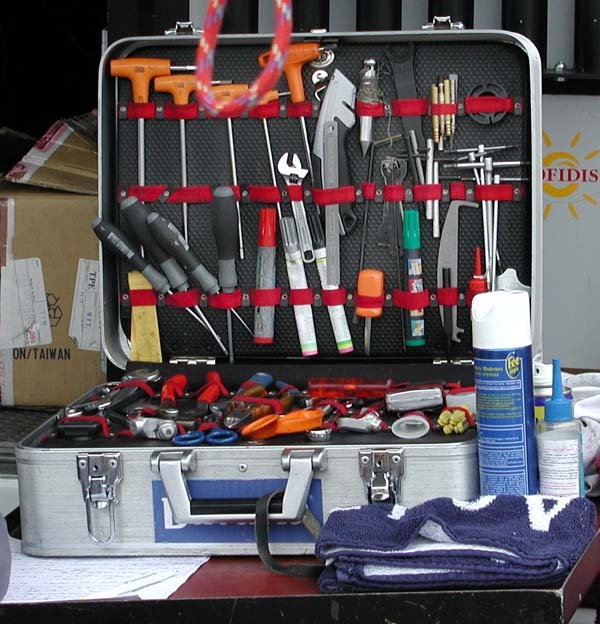 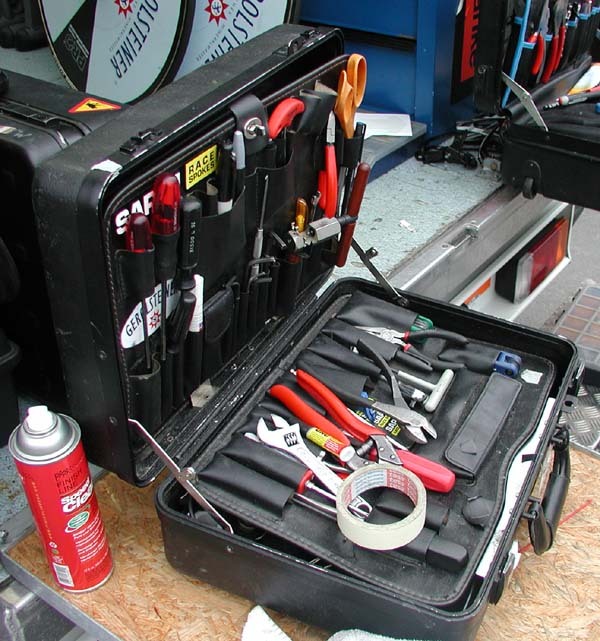 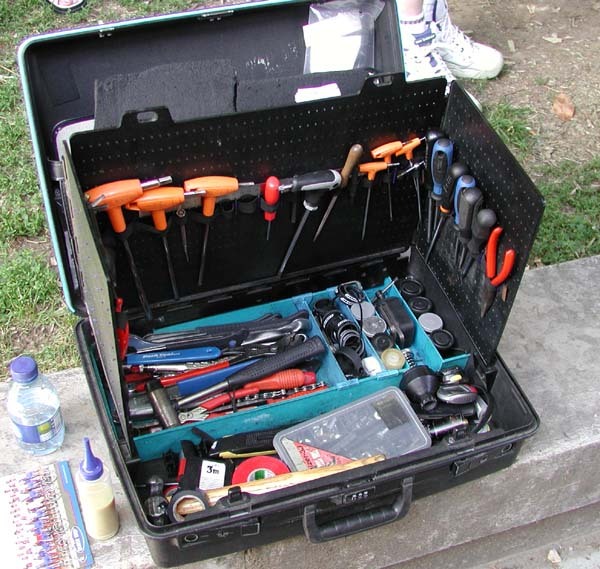 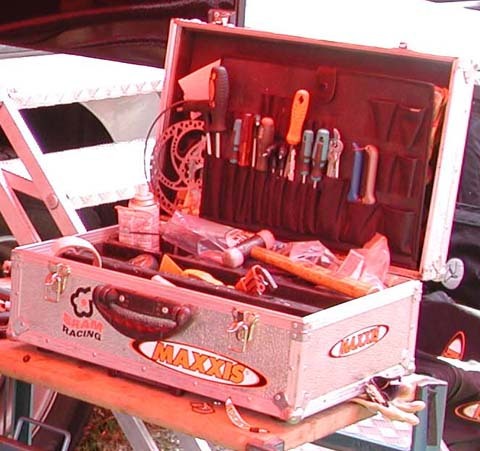 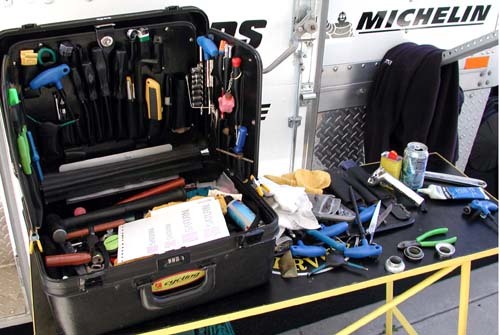 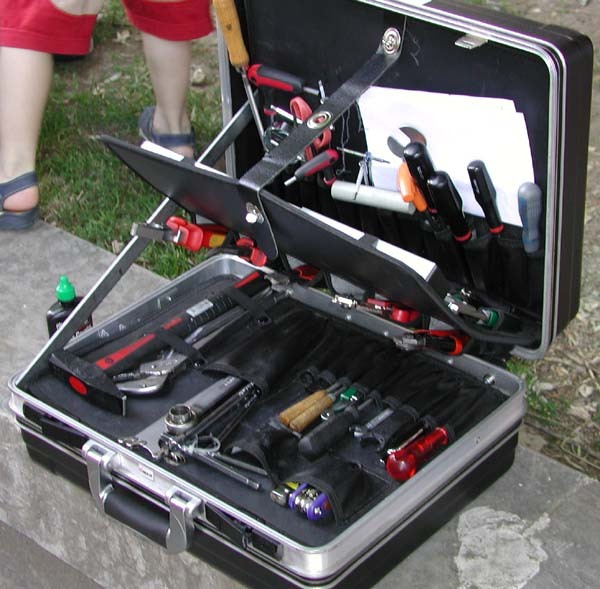 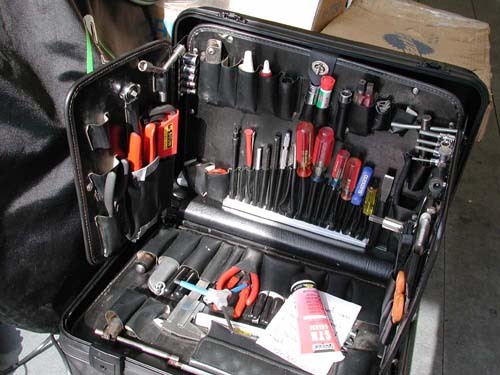 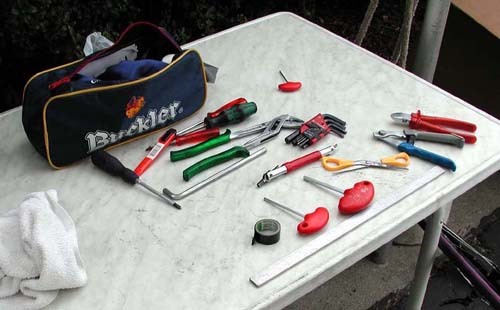 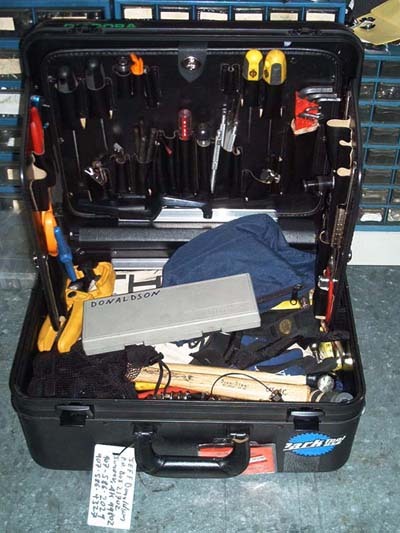 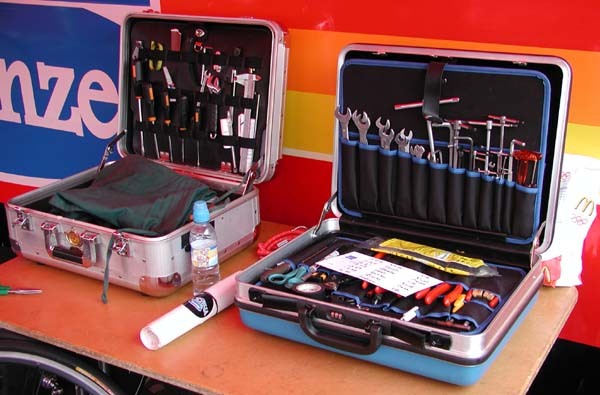 Calvin Jones of Park Tool compiled this montage of professional mechanics’ toolboxes. 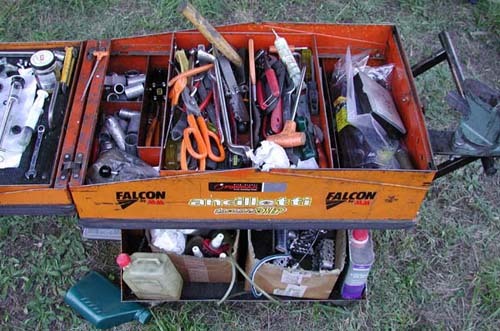 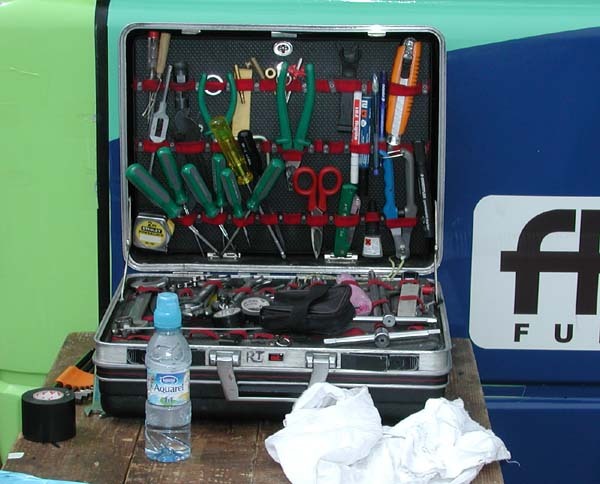 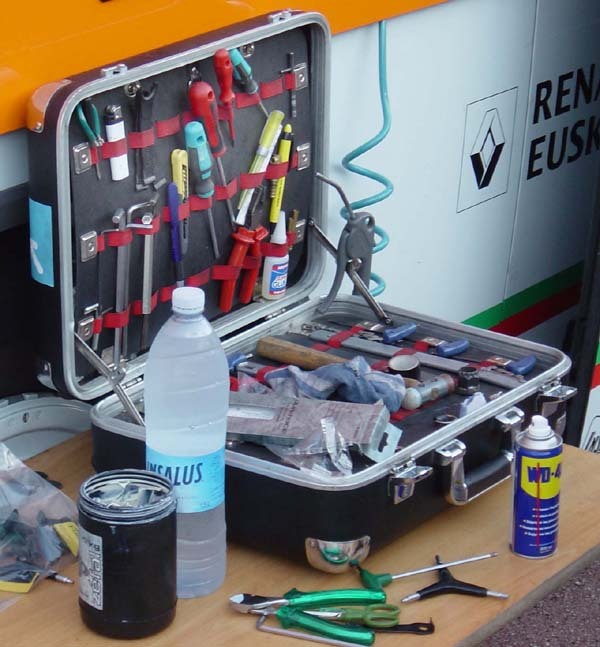 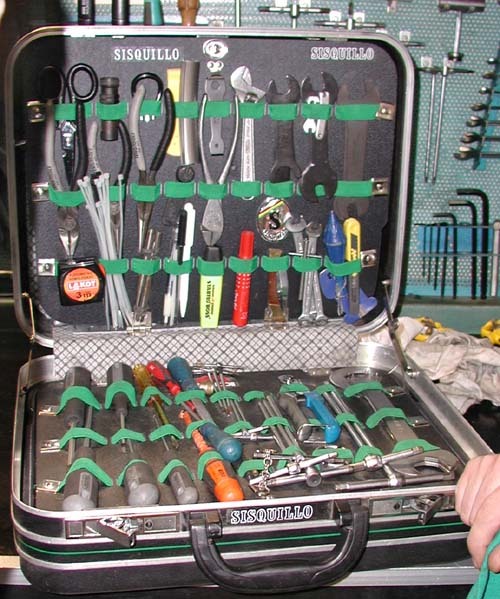 As you can see from the images, tool boxes vary as much as the personalites of the mechanics themselves. 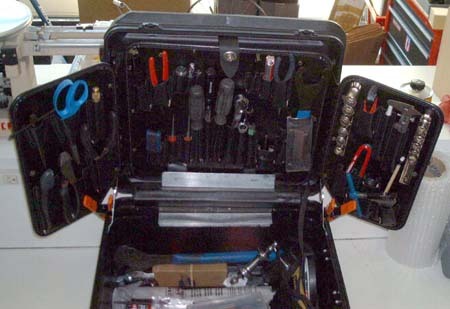 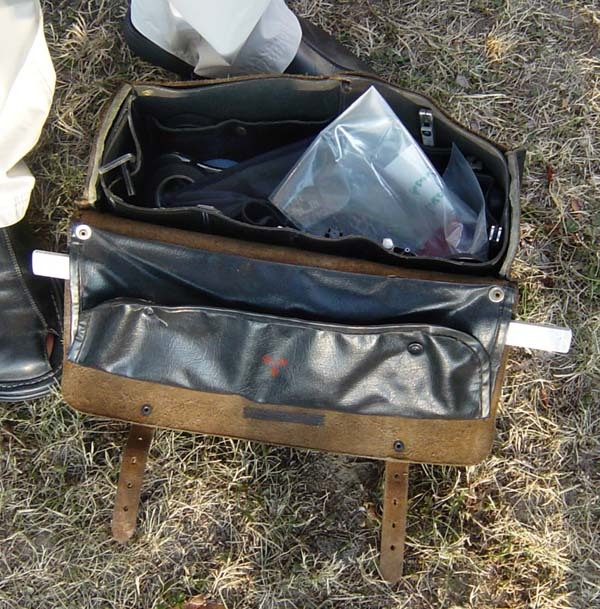 The lead image is the contents of one box. 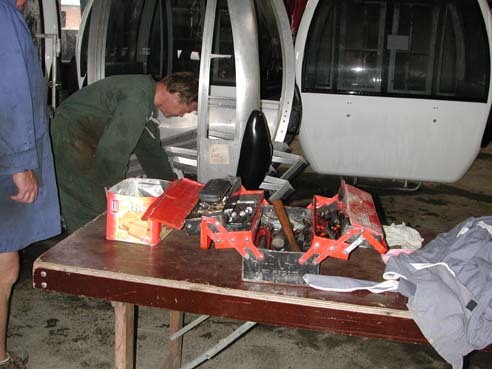 Additional credit goes out to Scott D for his photos.